Life as a Mom is hectic. With Kid 1 in Middle School and Kid 2 in Elementary, we have to do daily pick-ups and drop-offs at two different schools. This also means two different sets of school programs, meetings, and projects. And, you have to factor in all the extracurricular after-school activities -- swim classes, archery, scouts etc. There is a short amount of time (about an hour) between the last school pick-up and first activity drop-off. Frazzling? Yes! Needless to say, both Mommy and the kids need a treat. For a while, we found ourselves at our favorite local eateries almost every other day -- donuts from Donutopia, boba tea from Lotus Cafe. While this helped my popularity as a mom, it definitely didn't help my waistline. So I started looking for snack ideas that were quick, easy, healthy and passed the family's taste test. 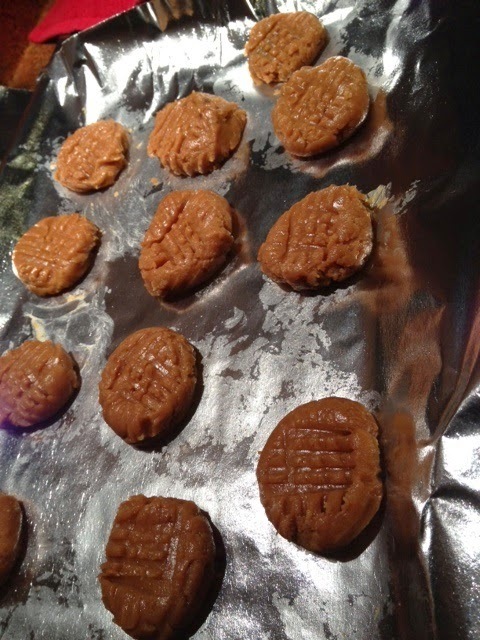 One of the best answers I found are peanut butter cookies! 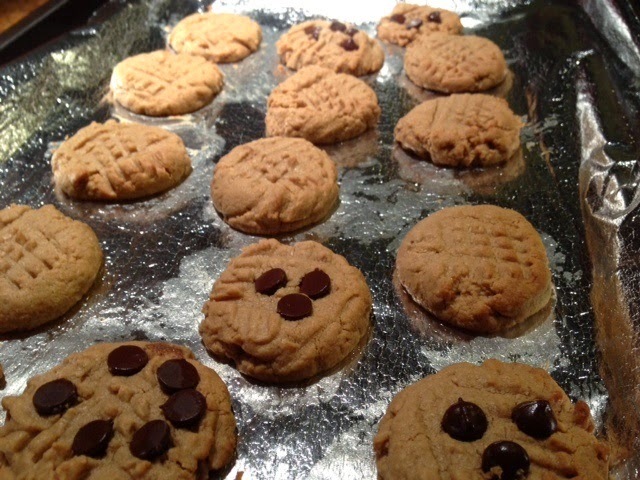 Made without flour and sugar, the cookies are high in protein and full of that wonderful nutty peanut butter flavor. When #Letslunch, the online foodie group that meets once a month for a virtual potluck, suggested 3-ingredient recipes as the April theme, I was ecstatic. Not only did I have the perfect share, but I'd find new simple recipes to add to my kitchen. Peanut butter cookies are one of those things I still haven't found the right recipe for; I'll have to give this one a try! Really, flour is so overrated. Thanks for visiting Annabelle! I have to tell you, I totally didn't miss the flour in this one. I hope you enjoy it! Rashda, I know all to well the driving, driving, driving of having two kids in different schools and activities. 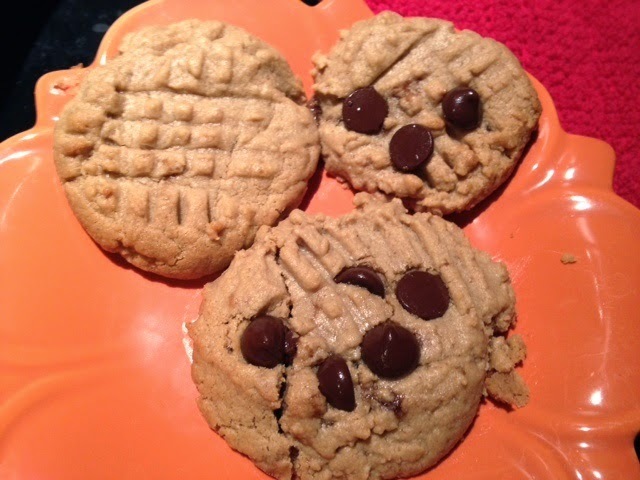 I like your simplified twist on PB cookies! What an easy cookie to make. I have all the ingredients right now. Thanks for the recipe. What fun doing #Lets Lunch with you! I know some gluten-free friends who will gobble these up!